Sian Ellis chats to Jasmine Simms, one of the founders of the Dead (Women) Poets Society. What is the Dead (Women) Poets society, and how did you get involved? 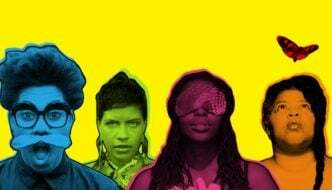 It’s a collective of living poets, founded in late 2015 by (then) Durham students and The Writing Squad alumni, Sarah Fletcher, Helen Bowell, Katie Byford, and myself. We aim to facilitate a conversation between women poets, living and dead, through the medium of events, online conversations, and more! It’s still early days for the collective. So far we have hosted events in Bradford, Durham and London, and are really excited that our next event will be in Sheffield! Our events always feature guest poets, usually alongside one or more members of the collective. Each poet reads (or performs) some of their own work, and some by a dead women poet which has influenced their writing, or their identity as a woman and/or poet. Most guest poets also like to talk, to reflect on what they love about their chosen poet, what makes them interesting, and how they have influenced them. You’ve mentioned your aim to facilitate conversation between poets living and dead. Can you elaborate on this to tell us a little but more about the society’s goal? In short, our goal is to help resurrect or restore those (overwhelmingly female) parts of the poetic canon which have been neglected by history. This includes the extent to which the ‘canon’ concerns a chain of influences between poets over time. In other words, the ways in which women poets influence each other. We aim to facilitate a conversation between women poets, dead and alive, which reflects upon these influences, and makes them more visible. We also strive to do our part in the general effort to make poetry events in the UK more accessible. For this, we put on events on in a variety of locations, and try to keep entry as cheap as possible. We’re also exploring possible ways of archiving the talks and readings from our events online. You’re next event is going to be at New Roots in Sheffield on December 3rd, so what can we expect to see at your upcoming event? This event will feature the Sheffield-born, T.S.Eliot nominated poet, Helen Mort, as our headline poet. Other guest woman poets will include Imogen Cassels (who also comes from Sheffield) and Jenny Danes, both of whom were recent winners of the New Poets Prize awarded annually by The Poetry Business (based in Sheffield), and myself. If that isn’t quite enough to tempt you, then bear in mind that these are not the only guest poets in the room… The Dead Women Poets we will be resurrecting for this event, include Sarah Kane, Julia Casterton, Veronica Forrest-Thomson, and Marina Tsvetaeva. 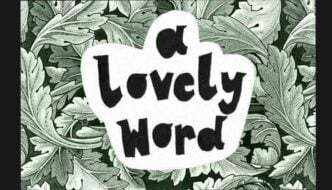 After the main event, there will also be an Open Mic Night, hosted in conjunction with the Sheffield University Poetry Society where people are invited to share their own work on the basis that for each original piece they read they also perform one by a dead woman poet. What are you most looking forward to at December’s event? It’s difficult to say, as I enjoy so many aspects of our events. Even just the atmosphere is always very special for me (we proudly strive for the psuedo-spiritual, in all aspects of our aesthetic) . However, if pressed to choose, for December’s event, I believe I am most looking forward to hearing Imogen Cassels’s set. She is reading from and speaking about Veronica Forrest-Thomson – a poet I hadn’t even heard of until now! So I am excited to discover a new dead woman poet. I’m also greatly looking forward to hear Cassels read some of her own poetry. Cassels writes powerful yet intricate poems on themes which range from the natural world to the world of classical myth, yet wear their intelligence lightly. Having admired her poetry for some years, but not read any of her newer work, I am very excited to see how it has developed into what will presumably form the bulk of her upcoming pamphlet with Smith/Doorstop. What plans have you got for the future of Dead (Women) Poets Society? The future of Dead (Women) Poets Society is looking exciting and diverse. We are always looking for opportunities to collaborate, and are currently considering the possibility of a series of podcasts, as well as the creation of merchandise. Possibly the biggest thing on our horizon right now is a planned ‘tour’ for late 2017/early 2018, to include venues all around the UK. We are also currently looking into the possibility of some themed events, such as a specifically Plath-themed event and also perhaps a fundraising event to showcase refugee women poets (both dead and alive). Anyone wishing to contact us with suggestions or ideas for collaborations (concerning these events or anything else), either as individuals or on behalf of an organisation, can do so at deadwomenpoets@gmail.com. We would be delighted to hear from you! Dead (Women) Poets Society’s next event will be at New Roots, Glossop Road at 7.30pm on December 3rd. Free Entry. "In short, our goal is to help resurrect or restore those (overwhelmingly female) parts of the poetic canon which have been neglected by history." "Cassels writes powerful yet intricate poems on themes which range from the natural world to the world of classical myth, yet wear their intelligence lightly." "Anyone wishing to contact us with suggestions or ideas for collaborations can do so at deadwomenpoets@gmail.com. We would be delighted to hear from you!"